SEOUL (Yonhap) -- North Korea launched into a tirade on June 27 against South Korea's recent declassification of a transcript of an inter-Korean summit in 2007. A North Korean agency handling inter-Korean affairs accused the South's conservative forces of attempting to use the secret documents for political purposes and further undermine summit deals on inter-Korean reconciliation between then-leaders Roh Moo-hyun and Kim Jong-il. "The group's unilateral opening to public the summit minutes without approval of the North is a mockery of the dignity of its supreme leadership and a grave provocation to the dialogue partner," the Committee for the Peaceful Reunification of (North) Korea (CPRK) said in a English-version statement carried by the North's official Korean Central News Agency (KCNA). Earlier, the National Intelligence Service (NIS), South Korea's top state spy agency, released a verbatim transcript of the Roh-Kim meeting despite strong resistance from the main opposition party. According to the transcript, Roh proposed a Yellow Sea peace zone to replace the Northern Limit Line (NLL), the de-facto sea border between the two sides. The controversial line is a legacy of the 1950-53 Korean War, which ended in a ceasefire, not a formal peace treaty. The North has long sought to nullify the NLL, while South Koreans believe it should be kept until a lasting peace mechanism is established on the peninsula. South Korea's conservatives insist the NLL is not a topic for any negotiations with the North. Some lawmakers demanded the transcript's release amid continued controversy over Roh's stance on the NLL. Members of the liberal Democratic Party say the late president was focusing on a broader peace vision, rather than moving to give up the line. The North Korean committee described the NLL as a "bogus line." "As far as the issue of the 'northern limit line' in the West Sea touted by the conservative group is concerned, it is a bogus line because even its architect American master recognized it as an illegal one. It is, therefore, preposterous to vociferate about its 'defence' and 'preservation,'" it argued. 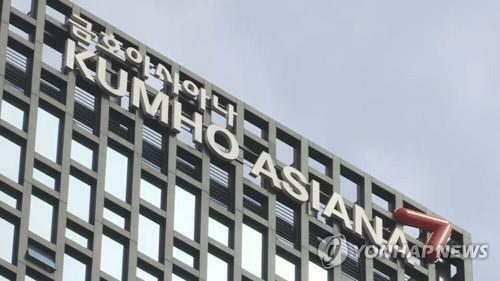 It accused the South Korean intelligence body of making public the minutes in order to distract public attention from its alleged intervention in the 2012 presidential elections. "By origin, the summit minutes are handled as top secret in any country and they have been strictly kept secret as 'minutes of president' in South Korea, too," the committee said. Related to the North's latest attacks, South Korea's Ministry of Unification said that while Seoul does not feel the need to react to every statement released by the socialist country, it called on Pyongyang to stop making threatening remarks that are not constructive to cross-border relations. SEOUL (Yonhap) -- A team of North Korean student programmers has won a global programming contest on the Internet, the North's state media said on June 28. The group of four students from Kimchaek University of Technology, the country's top engineering school in Pyongyang, took the head spot in the June competition of Codechef, a monthly programming contest hosted by an Indian software company, Rodong Sinmun reported. 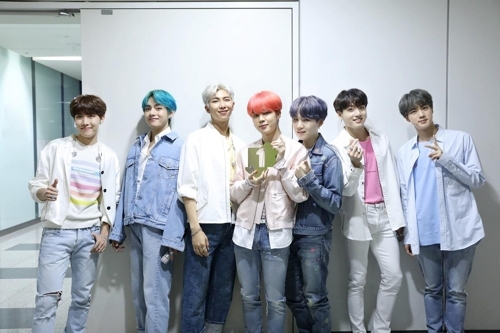 In lauding their successful debut in the competition, the newspaper described the online event as a test ground for "intellectual potentials" of participating countries. "Such outstanding performances that our university students have achieved point to the proud development of the juche education and signal the bright future of the juche science technology," Rodong Sinmun said. The juche spirit of "self-reliance" is the dictating ideology of North Korea. More than 3,400 teams from some 100 countries globally entered the 10-day competition, which took place in mid-June, according to its website. North Korea is considered an IT powerhouse with significant cyber warfare capabilities, although the vast majority of its civilians are known to be deprived of technology and Internet access. SEOUL/PAJU, South Korea (Yonhap) -- North Korea warned on June 29 that South Korea could face a "miserable fate" if it allows anti-Pyongyang propaganda leaflets to be flown into its territory from across the border. The warning from Pyongyang came as a group of North Korean defectors and a U.S.-based human rights agency said last week that they jointly plan to fly leaflets with anti-Pyongyang messages into the socialist country later in the day from Imjin Pavilion, just south of the western inter-Korean border. The socialist country warned in a report carried by its official KCNA that South Korea should not forget even for a moment that the pavilion is "within the range of direct sighting strike of the units under command of Korean People's Army." Activists in the South often send anti-Pyongyang propaganda leaflets, including U.S. dollar bills, via balloons across the border, condemning the autocratic North Korean regime. Pyongyang has frequently threatened retaliation for the leaflet campaigns but no real action has ever taken place. 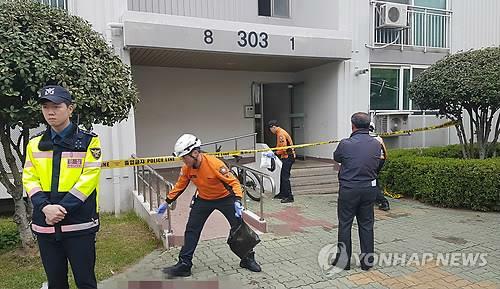 Meanwhile in the city of Paju, 50 kilometers northwest of Seoul, local police prevented the group of North Korean defectors from attempting to send the anti-Pyongyang leaflets into the North. The head of the Fighters for Free North Korea (FFNK) was taken to a police station as he tried to break through the police barricade. He was later released, officials said. "We will continue our efforts to fly anti-Pyongyang leaflets to help North Koreans know the truth of the North regime even if the Seoul government tries to prevent the leaflet campaign," said Park Sang-hak, head of FFNK. There was a minor scuffle between the police and several activists, but it quickly resolved without accident, according to witness. SEOUL (Yonhap) -- North Korean leader Kim Jong-un inspected a machinery factory on the country's east coast, Pyongyang's state news agency reported on June 30, marking his second trip to an industrial plant in as many days. Kim "provided field guidance to the Sinhung Machine Factory," the North's official KCNA said, referring to the factory in South Hamgyong Province, northeast of the capital Pyongyang. During the inspection accompanied by ranking military and party officials, Kim called on technicians and workers to produce "world-level" products and to "decisively improve the existing standard in the development and production of machinery," according to the KCNA report. A day earlier, the news agency reported a field guidance by Kim to a machine complex in the same province during which the leader praised workers' modernization efforts. Kim's frequently reported visits to economic facilities indicate the country's efforts to prop up its sickly economy. In his New Year's address, Kim announced economic development as one of his top tasks. South Korea's Ministry of Unification, which is in charge of handling inter-Korean affairs, said the majority of Kim's public appearances reported in the second quarter of this year were to economic facilities and events while his outings in the first quarter were focused on military units. SEOUL (Yonhap) -- North Korea lambasted South Korean President Park Geun-hye on July 1 for her remarks made in China that Pyongyang should give up its nuclear weapons. In a statement issued in the name of an unidentified spokesman of the Committee for the Peaceful Reunification of Korea (CPRK), the North warned such remarks "constitute unacceptable provocations against the country's dignity." Park on June 29 called for the North's denuclearization at a lecture given at Beijing's Tsinghua University during her four-day state visit to China, saying that Pyongyang's aim to simultaneously push forward economic construction and build up its nuclear force is an unattainable goal. Calling on the North to become a responsible member of the international community, Park, who returned home on June 30, said that if the North takes such measures, the South will offer wholehearted support. The CPRK official said that Park's remarks are ludicrous and an insult to the policy stance of the DPRK, which stands for the Democratic People's Republic of Korea, the North's official name. "Park talks about new inter-Korean relations and a new Korean Peninsula, and urges 'change' yet it is the South Korean government that really needs to change," the representative said in a report carried by the KCNA. "The president is moving to entice the aid of foreign powers to disarm the North and compel it to change but made clear such a ploy is futile," the report monitored in Seoul said. "Our nuclear capability can never become a bargaining tool and is not negotiable," the CPRK official said, claiming the latest comments are no different from the "nukes, opening and 3,000 dollars" strategy advocated by the former Lee Myung-bak administration. The strategy calls for Seoul to help the North attain a per capita income of US$3,000, if the socialist country gives up its nuclear weapons. 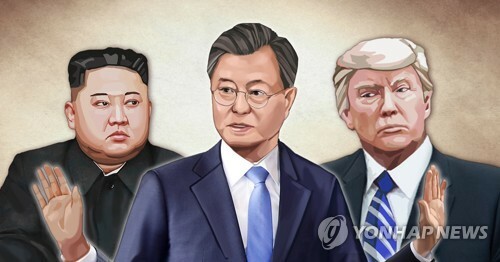 The spokesman said that if the South really wants improved cross-border relations, it must give up its pro-U.S. policies, end its confrontational rhetoric and approach current state of South-North affairs in a way that best reflects the interests of the Korean people. The CPRK also said that it is carefully watching Park's actions with its "last ounce of patience," an indication it may be considering tougher action down the line. Responding to the North's latest verbal attack, South Korea's Ministry of Unification expressed grave regret and called on Pyongyang to exercise restraint. "The CPRK's comments mark the second time since May that the North has directly criticized the president," ministry spokesman Kim Hyung-suk said. 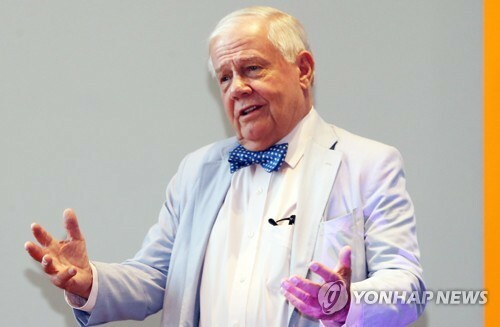 He cautioned that for the sake of improved inter-Korean relations the North needs to modify what it says against the head of a country and exercise basic manners. The official made clear that while Pyongyang raised issue with the chief executive's remarks on not permitting the North to have nuclear weapons, it must realize that calls for denuclearization reflect the wishes of the international community as a whole. He said the world wants to resolve the nuclear issue that threatens peace and stability on the Korean Peninsula. 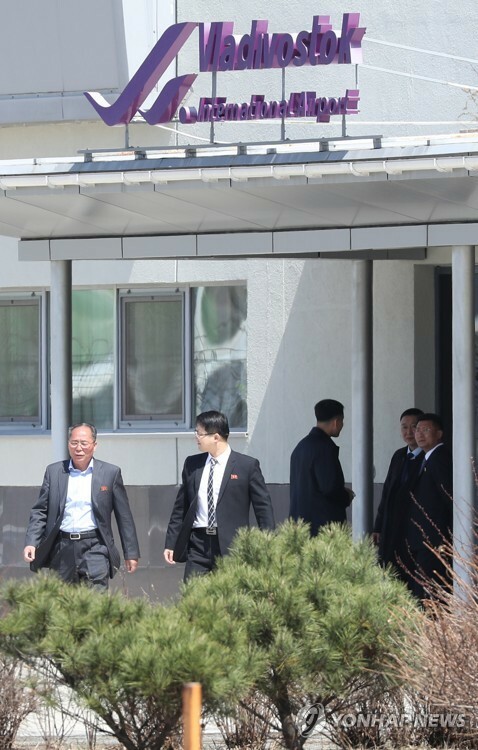 SEOUL (Yonhap) -- Kim Kye-gwan, North Korea's point man on nuclear issues, departed for Russia on July 2, the country's state news agency said, in what appears to be its efforts to resume dialogue with neighboring countries over the nuclear standoff. Kim, the first foreign affairs vice minister, and his party left to visit Russia, the North's official KCNA said in a brief dispatch in English. "They were seen off at the airport by Vice Minister of Foreign Affairs Kung Sok-ung, the Russian Ambassador to the DPRK (North Korea) Alexander Timonin and Chinese Ambassador to the DPRK Liu Hongcai," according to the report. The report did not disclose the purpose of the Russia visit, but a previous foreign report said Kim will discuss the resumption of the six-party dialogue, designed to persuade the North to dismantle its nuclear arms. South Korea, the United States, Japan, China, Russia and the North are the six negotiators. The report by the Russian news agency RIA Novosti also said late of June that the latest North Korea-Russia meeting is part of their efforts to revive the six-way talks, quoting the public relations office of Russia's foreign ministry. This visit follows on the heels of Kim's five-day visit to China late of June. During the visit, Kim, who is in charge of the country's external negotiations over the nuclear issues, promoted the North's intention to rejoin the nuclear disarmament talks and secured China's backing. The six-way dialogue has been stalled since early 2009 when the North pulled out in protest against the United Nations' condemnation of a satellite launch by the North. The North was given tougher U.N. sanctions earlier this year for conducting a satellite launch in December and a nuclear bomb test on Feb. 12. Also on July 2, Kim Song-nam, vice director of the International Affairs Department of the Central Committee of the North's ruling Workers' Party, arrived in Beijing for a visit seen as aimed at mending fences with Pyongyang's most important ally. The KCNA earlier reported Kim's departure from Pyongyang, but gave no details. "This visit appears to be aimed at restoring relations with China that worsened by the nuclear test and long-range rocket launch," a diplomatic source in Beijing said, adding that the delegation is expected to meet mostly with officials of the International Department of the Central Committee of the Communist Party of China. SEOUL (Yonhap) -- Top military officials from North Korea and Cuba met in Havana to reaffirm their longtime alliance, the North's state media said on July 2. The visiting North Korean military delegation headed by Kim Kyok-sik, the chief of staff of the KPA, discussed with Cuba's armed forces chief Leopoldo Cinta Frias ways to bolster the military and diplomatic ties between the two countries, the KCNA reported. The talks proceeded in a cordial fashion, according to the report. The North's delegation had left Pyongyang for Cuba on June 26. The close alliance between the two socialist countries dates back to 1986 when Cuban leader Fidel Castro made the first state visit to Pyongyang on invitation of the North Korean founder Kim Il-sung. Sharing a common view on their military-oriented political system and a negative view on United States, the two countries have since held military talks regularly. The last two military talks between the two countries took place in April and October 2011, during which then top North Korean military chief Ri Yong-ho met Alvaro Lopez Miera, the first-vice minister of the Cuban armed forces. SEOUL (Yonhap) -- North Korea on July 3 accused Seoul of hypocrisy by claiming its chief unification policymaker only advocated dialogue with false words while in reality pushed for confrontation. In a commentary carried by Rodong Sinmun, an organ of the ruling Workers' Party of (North) Korea (WPK), Pyongyang claimed that actions of Unification Minister Ryoo Kihl-jae clearly showed he is a hypocrite and that the South is insincere about dialogue. "Ryoo argued that dialogue signals are being sent (to the North) and that it is the DPRK (North Korea) that is not responding," the paper said, stressing such comments are outright distortions of the truth. The report picked up in Seoul comes after Ryoo said in a meeting with reporters over the weekend, that Seoul's firm policy to engage the North can lead to changes in inter-Korean relations. He added that the South will do its part to push forward change, but warned it can get tough if the North fails to reciprocate in kind. Rodong Sinmun pointed out that the only signal the South has been sending is for the North to give up its nuclear capabilities and implement changes. The North made clear on numerous occasion that it will not give up its nuclear deterrence in the face of continued hostility by the United States. The socialist country also views "change" as a ploy to undermine the regime. The daily, which reflects the views of the North's leadership, then said that while cross-border negotiations can lead to reconciliation, peace and eventual unification, it is the South that has persistently put up obstacles to talks. 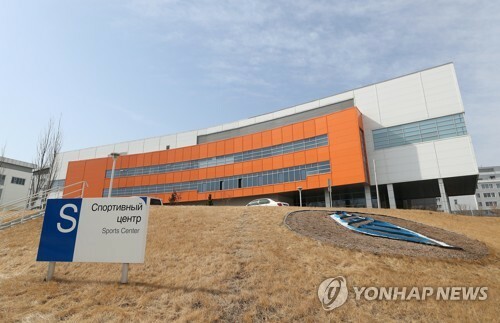 It said that Seoul intentionally disrupted a senior officials meeting planned for June because it raised issue with the ranks of the chief representatives. 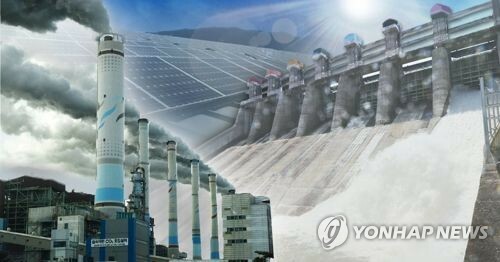 The meeting, if it took place, would have touched on the normalization of the Kaesong Industrial Complex, Mount Kumgang tours and other outstanding matters. Seoul countered that it was the North that made excessive demands that caused the talks to fall through at the last minute. SEOUL (Yonhap) -- A Korean-American man, detained in North Korea on sedition charges, hopes that he would be set free and allowed to go home after amnesty is granted, a pro-North Korean newspaper in Tokyo said on July 3. Kenneth Bae, whose Korean name is Bae Joon-ho, was arrested in November after entering North Korea with a group of tourists. Some identified him as a tour operator, while others said he worked as a Christian missionary. In May, North Korea sentenced Bae to 15 years of hard labor for committing unspecified "anti-North Korea crime," claiming that he had attempted to overthrow its regime. The U.S. government has so far unsuccessfully tried to win his release. "Bae, wearing a prison uniform with ID number 103, was imprisoned on May 14 and was seeding and weeding on corn, potato and bean farms in prison," the Choson Sinbo newspaper said. "Bae wakes up at 6 a.m. and works from 8 a.m. to 6 p.m."
The paper, published by Chongryun, a pro-Pyongyang Korean residents' organization in Japan, said it confirmed Bae's latest status after visiting the prison where he is being kept. In an interview, Bae, 44, expressed hope to convey his request for amnesty to the North Korean and U.S. governments, the paper said. The report comes as North Korea is trying to open dialogue with the United States over its nuclear programs. The U.S. maintains that it would agree to engage North Korea for dialogue only after the communist country first shows by action, not words, its sincerity to denuclearize. Bae is the sixth U.S. citizen to be detained by the North since 2009. All other Americans were freed via contacts between the two nations. Since his detention in May, the Swedish Embassy in Pyongyang has visited him once on behalf of the U.S. as Washington has no diplomatic relations with Pyongyang, the paper said. The paper also printed three photos of Bae with the story.